James Milner is expected to be available for Liverpool’s Premier League opener versus West Ham United on Sunday. 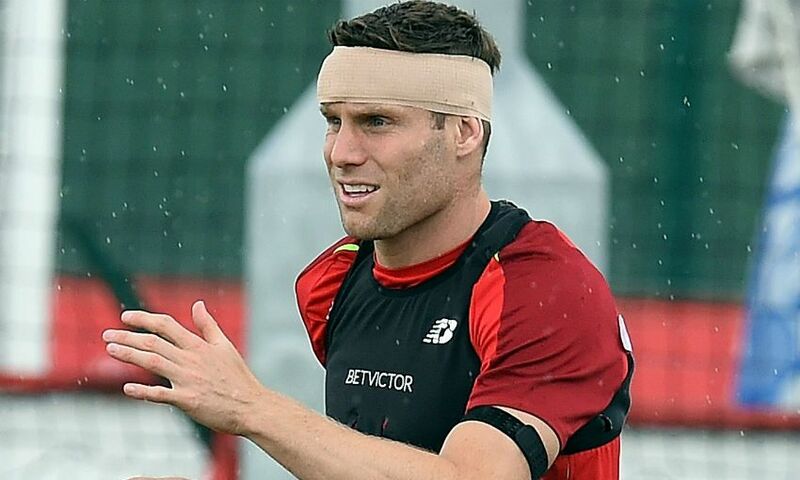 The vice-captain received 15 stitches following a clash of heads during the Reds’ 5-0 pre-season friendly win over Napoli in Dublin last weekend. But Jürgen Klopp is confident Milner will be fit to feature against the Hammers at Anfield. The boss said: “He should be OK. He is working with a headband, all of them different colours and all of them suit him! “It is a pretty long cut. But it is Milly so he is not really bothered about it. Heading was never his best skill but we need his head from time to time, not only for heading.